World War 1 was primarily a European War. World War 2 was both European and Asian. World War 3 has not yet occurred. If it does, it will be mainly Asian. Provided the pattern of alliances and strategic partnerships continues to look the way it does today, World War 3 will pit a Russia-supported China against a grand alliance of the United States, Japan, India, Indonesia and Australia. This grand alliance will win the war but at the prize of unimaginable destruction, even risk of a nuclear exchange. East Asia is now the world’s main centre of production and the driver of global growth. China and Japan have the world’s second and third largest economies, and they are deeply integrated with each other through trade and investments. Yet historical suspicions between the two countries have risen instead of abating over time. Japan fears China’s growing military power and the rising nationalist and anti-Japanese sentiments among many Chinese, who might want to seek revenge for Japan’s past misdeeds. It does not help that China and Japan have vastly overlapping maritime zone claims in the East China Sea, and that both nations – and Taiwan – are claiming the small inhabited rocks that Japan call the Senkakus, the Chinese Diaoyu – and which in English are called the Pinnacle Islands. It is hard to think of a more worthy candidate for the Nobel Peace Prize than Article 9 of the Japanese Constitution. It has helped Japan keep out of war for almost seventy years. Through its peace-based growth policies under the so-called San Francisco system established in 1951-52, Japan set the whole East Asian region on its road to peace and economic growth. Through the San Francisco peace treaty in 1951, Japan got back its status as an independent nation but was obliged to sign a security treaty with the USA and allow US military bases on its territory. Japan also mostly had to align its foreign policies with Washington. In return Japan reaped the enormous benefit of not having to waste resources on a strong military of its own, and could base its security on its US alliance. Japan could thus concentrate its efforts fully on its economic rise. 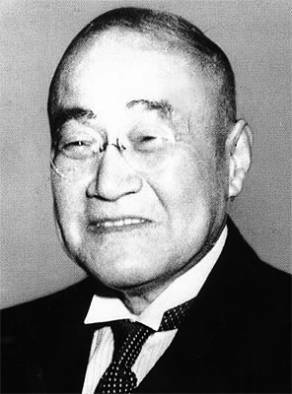 Yoshida Shigeru, the wise post-war Prime Minister of Japan. At first, in 1946, Japan’s Peace Constitution was imposed on it by the US occupation authorities. The purpose was to prevent any future resurgence of Japanese militarism. But the Americans soon regretted it. As the Cold War took hold, and well before the outbreak of the Korean War in June 1950, the United States began asking Japan to rearm, in clear disregard of Article 9. During the Korean War, the USA wanted Japan to take part. Japan, however, had a wise old deeply Conservative and Anglophile Prime Minister, the aristocrat Yoshida Shigeru. He did not want to sacrifice Japanese blood in a war under US command. He did not want to make an unpopular return to Japan’s former Korean colony, and antagonize the Chinese and Koreans. And he did not want any resurgence of a military officer corps in Japan itself. Military officers might then once again interfere in politics. Yoshida had one overriding priority: Japan’s economic reconstruction. So he used Article 9 to defend Japan against the United States. Instead of going to war in Korea, Japan made money on it and initiated what soon was called the Japanese economic miracle. This pattern is called the “Yoshida doctrine”. The Yoshida doctrine was so successful that other Asian countries began to emulate it. Japan became an explicit or implicit model for most of the East Asian countries. One after the other, they opted out of war and reduced their military budgets in order to give top priority to economic growth within a market-based international system: South Korea 1961, Singapore and Indonesia 1965, Taiwan 1972, China 1978, Malaysia 1984, Vietnam 1986-89, Myanmar 2011. Some are still not quite ready to undertake this huge shift of national priority: The main latecomers are North Korea, Thailand and the Philippines. The biggest emulator of all was Deng Xiaoping. He went to Japan in 1978, with the explicit aim to learn and attract Japanese investments. Thus began China’s astounding economic rise. This could not have happened without the Japanese model, Japanese technology transfer through development aid and investments, and access for both Japan and China to the US and European markets. In 1947, the US journalist and author Harold Isaacs wrote a book called “No Peace for Asia.” While Europe could gain peace after the end of World War 2, he said, Asians were condemned to continued warfare. He was right: In the years 1946-79, more than eighty per cent of the people killed in war worldwide were killed in East Asia. Not in Japan but in China, Korea, Vietnam, Laos, Cambodia, Indonesia, Malaysia, and Myanmar. Wars ravaged in all of those countries until new national governments were able to follow Japan and adopt “economy first” policies. In the 1980s, only 8.5 per cent of the people killed worldwide were killed in East Asia, and since 1990 the percentage has been a mere 3.5 – in a region with one third of all the world’s people. War migrated from East Asia to the Greater Middle East, South Asia, Africa and some parts of Europe. East Asia became a zone of relative peace. Peace researchers study this regional transition from widespread warfare to relative peace as a phenomenon that could give a key to creating world peace. Japan and the Article 9 are in the vanguard of that story. Unfortunately, the East Asian Peace is insecure. It does not rely on any strong supra-national institutions like in Europe. The Association of Southeast Asian Nations (ASEAN) and its various consultative frameworks (ASEAN Regional Forum, ASEAN + 3, East Asian Summit) are no substitutes for genuine political integration. East Asia’s peaceful economic integration has not been matched by any institutional security guarantees. Instead a pattern of alliances remains from the Cold War. The East Asian Peace can also not rely on shared political values. The national political systems in the region are extremely diverse. Some, like Japan, Taiwan, South Korea and Indonesia, are liberal democracies. Quite a few others have just semi-democratic political systems. And some, like North Korea and Brunei, are outright dictatorships. And China, Vietnam and Laos are Communist Party states. Since May this year Thailand is also a military dictatorship. The struggle over democratisation is now acute in Hong Kong, and may also be accentuated when Myanmar holds national elections in 2015. The biggest danger to the East Asian Peace comes from crises or tension in Sino-Japanese relations. The Communist Party of China has become a nationalist party, ideologically grounded in the same ideology as the Kuomintang Party, which now rules Taiwan. The core idea is that China was humiliated in the 19th-20th centuries by Europe and Japan. Now China is about to become strong enough to make up for this past humiliation. Perhaps for this purpose China has been modernizing its armed forces. Deng Xiaoping‘s downsizing of the People’s Liberation Army was followed by a constant upgrade under his successors Jiang Zemin, Hu Jintao and Xi Jinping. And China has engaged itself in increasingly assertive demonstrations of its maritime claims. This has instilled fear in many of its neighbours, not least the Philippines, Vietnam – and Japan. And this is where the old idea of revising Article 9 enters the picture. If the nostalgic nationalist faction in Japanese conservative politics gets its way and the article is revised or abandoned, the fears of the Chinese and Korean are bound to rise. The image of an unthreatening Japan will dissipate, and East Asia and the world will become a more dangerous, less prosperous place. Article 9 has been reinterpreted many times, and has never been followed to the letter. Japan has built a modern and highly capable National Defence Force. Any sensible Chinese leader will understand how disastrous it would be for China to challenge the Japanese-US alliance head on militarily. Yet Article 9 has set real limits to the size of the Japanese military. This has served both Japan and the region well. Article 9 is an integral part of the East Asian Peace. The region would look different and more dangerous if it were revised or abolished. Japan’s neighbours would see this as a sign that Japan may start acting on its own, outside the confines of its US alliance. This would not lead quickly to war but could gradually destabilize the region. A Nobel Peace Prize to Article 9 would be a pro-Japanese prize, a prize honouring Japan for having made a practical virtue of its peace constitution, for having established a model that inspired a whole region to get out of its endemic wars and concentrate on economic growth. The best way for Japan to follow up on its past successes is to focus once again on getting its economic house in order, do all it can to promote trilateral economic cooperation with China and South Korea, maintain its US alliance as the corner stone of national security, and keep its Self Defence Forces just for self defence. See also The Japanese Peace Clause on this blog.